MakerBot 3D printer has become very popular nowadays in many universities and even in some high schools as it is quite easy to setup and use in general. 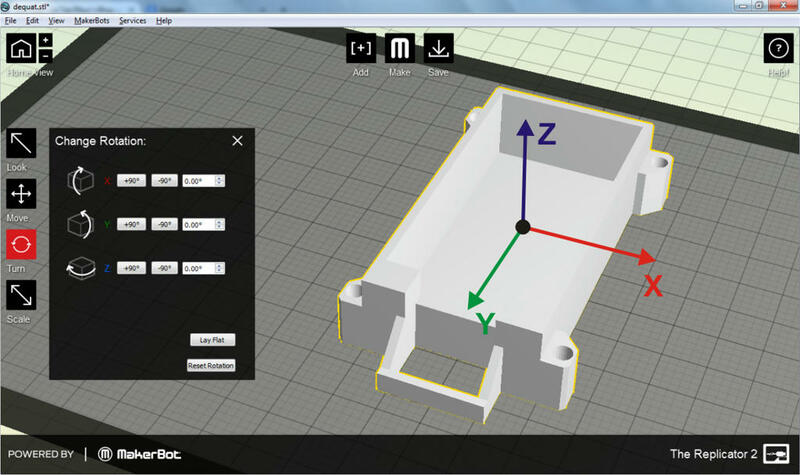 I have one in my current lab so in this post, I will show some steps to make a small part from a 3D design with Inventor and MakerBot’s software (MakerWare). 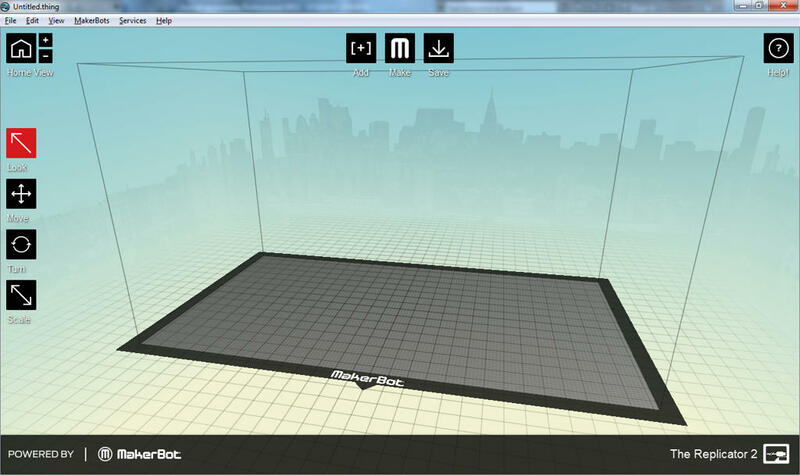 By using Autodesk Inventor with Makerbot 3D printer, we can create a prototype in a fastest way. Here I just assume that you have already known to design a part with Inventor and I assume that you are equipped with one of the best affordable 3d printers available, hopefully. STEP 1: Create a 3D part and export into *.STL file. 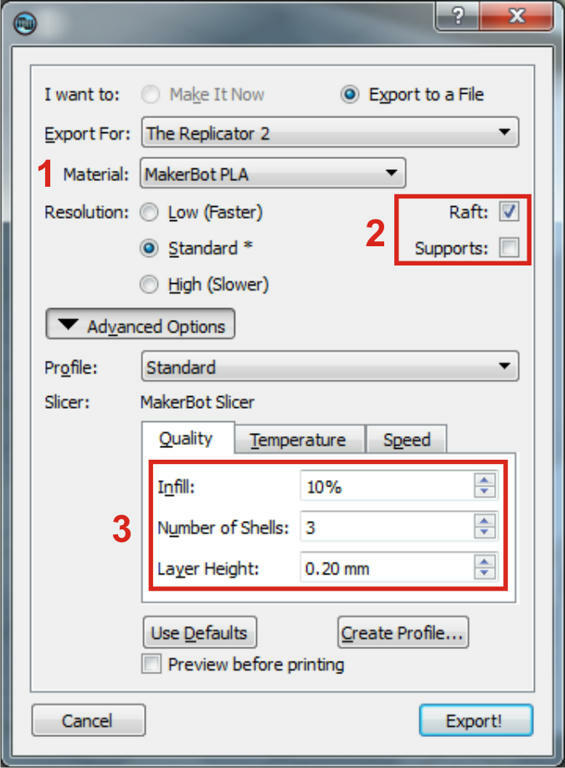 The MakerWare software which is used to convert and transfer design to the 3D printer supports reading only a few file extension including ‘*.stl’ and this file extension can be exported from all CAD design software. After finishing with the design part, we chose Export -> CAD format -> choose a file name -> STL files type -> Save. 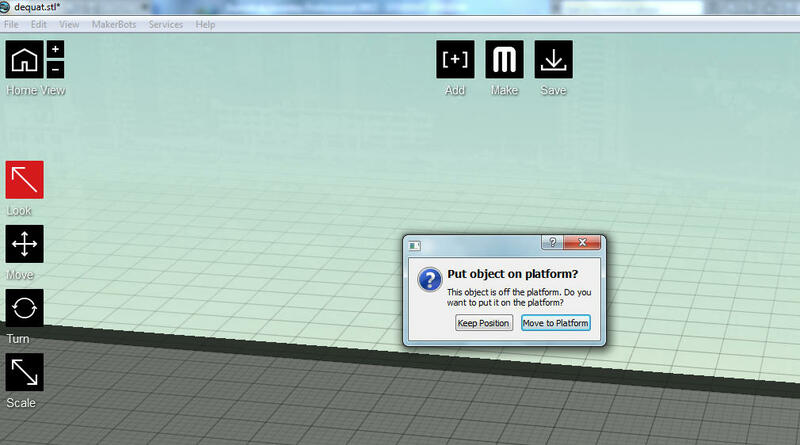 On the main screen of MakerWare, you will see some button on the top including “Add; Make; Save”. Click on ‘Add’ to import the desired STL file. One thing I have noticed here between the STL file exported from SolidWorks and from Inventor is the different scale when imported to MakerWare. With SolidWorks stl file, everything is ok, the imported design appear exactly as the source. 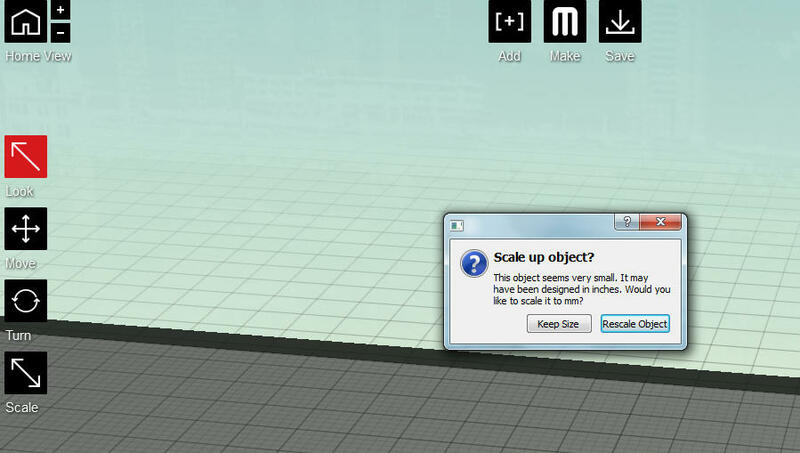 However, the scale is 10 times smaller when importing stl file of Inventorso usually, MakerWare will ask you to rescale the design as it though you were designing in inches, not mm. 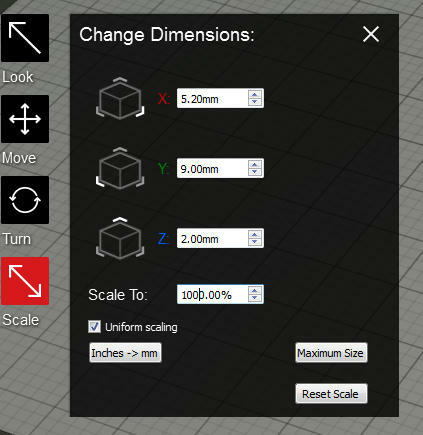 In this case, just click on ‘Keep size‘, we will resize it in mm later, not scale it to inches. And sometimes, if your source design is over or under the platform, it also ask to move the part back on to the platform surface. Just accept it. Then you can notice the toolbar on the left, it gives you some tool to move, rotate as well as scale the design dimension. First, we can scale the part to make it same as original source. In the ‘Scale to:’ textbox, type in ‘1000%’ and press Enter, your design will back to what it is supposed to be. After placing your part nicely on the printer’s platform in MakerWare, you can proceed to the final state, configure the exporting part. First. click the “Make” button on the top of screen, then the following Dialog will appear. Noticed the number 2 in the picture. 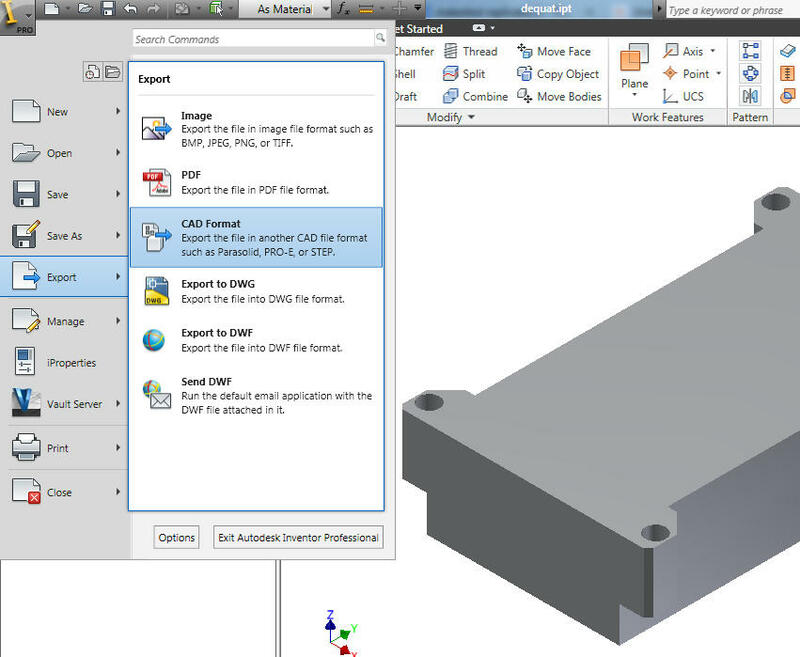 There are 2 option boxes you need to pay attention based on your designed part. For the ‘Raft’, it is an initial layer that the extruders set on the platform to prevent the prototype from sticking to the platform and make it easier to remove without damaging the part. It can be pealed off easily. This option should be checked always for me. For some parts that have a big upside-down hollow, it is impossible to print in a normal way, the middle roof can fall down during printing process. In this situation, we need to build some supports for them. Supports are thin layers of plastic web around the object to protect it and support it. Supports are generally not needed if printing small objects. However, it is really difficult to remove all the supports after printing. The ‘Infill’ and ‘Number of shells’ will affect the printing time, hardness of the prototype. The more number of shells and higher percentage of infill, the harder the prototype will be with the longer time to finish, it is up to your requirement on the end prototype. The same for the layer height, the time would increase dramatically when you choose to print in high resolution. I have experienced some filament stuck situations when choosing high resolution printing as well.